Exclusive: Shortly before By Royal Command hit shelves in the UK late last year, MI6 caught up with author Charlie Higson to talk about his final Young Bond book. 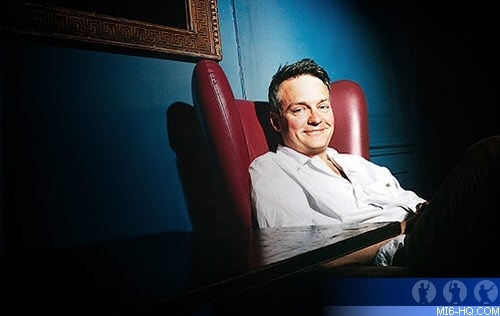 Speaking for the fifth time to MI6 about the series, Charlie Higson talks about the themes and background to the book in part one of this serialized MI6 interview. In previous interviews we've talked about the echoes of Fleming's novels as the Young Bond books have progressed. Would it be fair to say that this fifth one is influenced by Fleming's fifth (FRWL) as well as OHMSS? Yes, I suppose the similarity with "From Russia With Love" is that this book is a bit more serious to the ones that have come before, and Fleming felt that it was his best written book up to that point. I think he put a lot in to that, not that he didn't put a lot in to the other books. The other element is the question of 'who do you trust'? 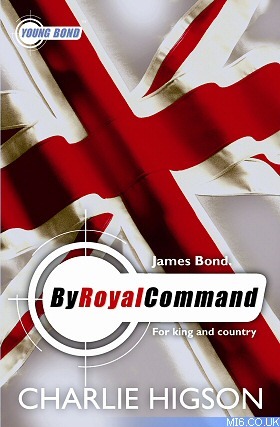 "By Royal Command" certainly takes Bond in to the world of espionage. The parallels are fairly subtle this time. But a bit like Fleming did with "From Russia With Love", you are leaving your readership wanting more! I hope so! I don't want to leave them wanted less! [Laughs] I think when Fleming wrote "From Russia With Love" he was slightly frustrated. Although he was successful in England he hadn't managed to crack America yet. He was finding it tough going and he was thinking that he might not do any more. My position is that I would very much like to do some more, but if that were to happen there would be a very definite break after this one. Did you get to visit locations in Austria before writing the book? I did, yes. Kitzbuhel was a very important place in Fleming's life. As a young man, after he'd left Sandhurst, he went to Kitzbuhel - in the modern parlance - to get his head together. He went to a very interesting sort-of school over there, which was also a bit of a 'life camp'. He met some very interesting people including a couple who had been spies or possibly still were. He learned to ski there and fell in love with the area, the mountains. That was always a hugely important part of Bond's story and the Bond books. The films have used countless ski scenes too. So, I knew I had to do something with the Alps and Kitzbuhel seemed to be the obvious place to set the book. I managed to take the family out there on a skiing holiday. I'd been skiing a couple of times before as a kid but had completely forgotten everything, so I started again as a novice. So I learned to ski on the same mountain that I have James Bond learn to ski. It was rather nice! Obviously a lot has changed since the 1930s in terms of the equipment.. Yes, learning to ski back then was incredibly difficult. The skis were typically taller than you were, and they were heavy and rigid pieces of wood. You had to learn very special techniques for cornering. Modern skis with their curved edges are a lot easier to manoeuvre and are much more lightweight. Also back then, they had yet to invent ski lifts, so there cable cars to take you to the top of the mountain and that was it. There were no drag lifts or chair lifts. It was an incredibly rugged and tiring sport to do. But people loved it then as much as they do now. The cast and crew of "Quantum of Solace" commented how nobody knows for sure who the villains are today - would that also be a good description of the backdrop to "By Royal Command"? I think so yes, very much so. That's a reflection of the time in the 1930's in that people were scared of Communist Russia and what they might be up to. The ruling classes, the Royal family, the rich industrialists and land owners were terrified of Communism and that Britain might fall to Communism, and Hitler put himself forward as the best hope saying he would stamp out Communism. There was huge support for Hitler at that time with the rich, whereas the lower classes were starting to think that maybe they needed Communism. So there was this period in the lead up to WWII where nobody really knew. And then Hitler put himself forward as the villain. But in retrospect, when you look back at what Stalin was up to in Russia, he was insane and killed as many, if not more, people. But at the time he became our ally and we turned a blind eye to that. Certainly in the 1930's it would be hard to say who the enemy was. A lot of people were arguing for change in Britain whilst others were trying to cling on to what we had. That's the position that poor Young Bond is thrown in to. Who does he trust? And does he even trust his own government? By Royal Command is released in paperback in the UK today. Stay tuned to MI6 for more of this exclusive interview.